On April 1 - as everyone celebrates by spreading hoaxes, or cracking jokes - we thought to play a trick on the burger - eaters. Our client was the well - known bistro of Szeged: Kapca. We had worked with them earlier, when we prepared a successful project: Make Burgers with Love. Our accomplices were the Zalehys, who are responsible for the online day - to - day communication of the bistro. We thought that the Facebook news feed full of gags would be an ideal platform to make a joke. 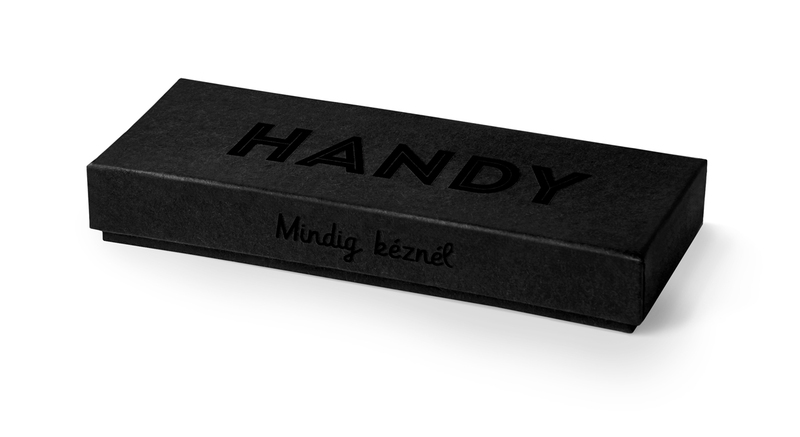 Our idea was to present a revolutionary tool for the burger - eaters’ community: a new, finger - applicable cutlery, named as 'Handy'. 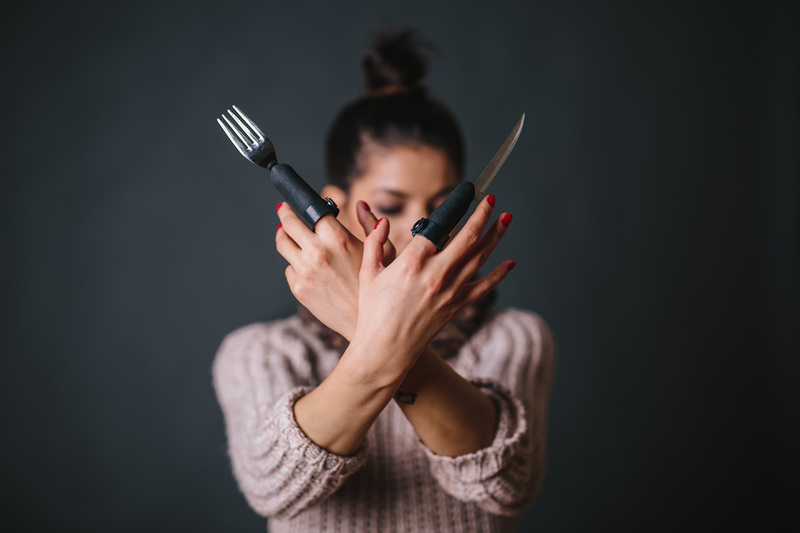 The concept was born by the Zalehys, as they came up with the idea of a new cutlery which would revolutionise burger - eating. As their plan was pretty basic, we started brainstorming about the possible outcomes of the project. We tried to handle the task in such a way as if it was a real product with which we wanted to enter the market. As in each of our project, we collected ideas what was needed to make the product attractive, and aimed to show how Handy would make burger eaters’ lives easier. As a first step, we created the logo. 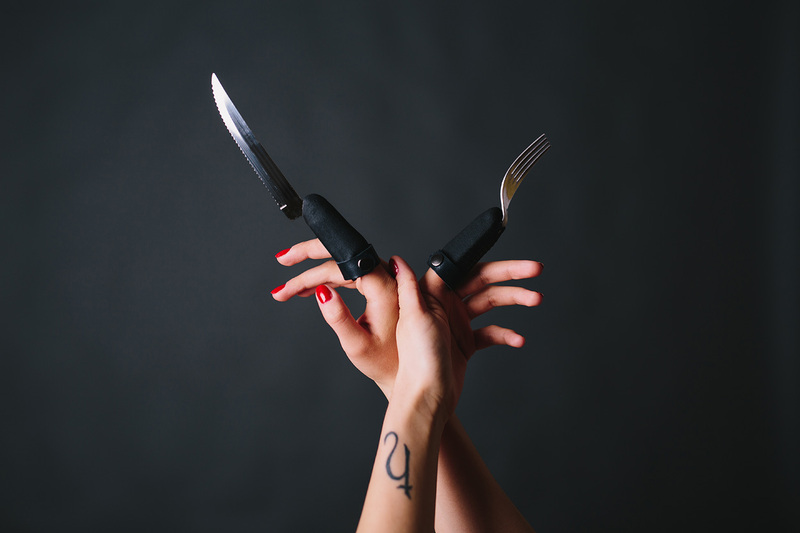 The drawn knife and fork strengthens the brand and the slogan. We constructed a prototype within doors. In order to be able to show the everyday usage of the product, we created a scenario, and then we shot the campaign video. We tried to be as authentic as possible, in order to convince the viewer about Handy’s being a real - life product instead of an April Fools’ Day gag. For the narration, we asked László Szívós - an actor of the National Theatre of Szeged - to help us. After the product photo shooting, we prepared the webpage, through which the future customer can order the Handy. The joke was revealed when someone ordered (or more precisely, attempted to order) the tool by clicking on the ‘order’ button: if the customer’s name was typed in, the page immediately informed him or her that Handy was only an April Fools’ Day prank. By the end of the 1 - day long campaign, Handy attracted 50 thousand accesses on the social media sites. The landing page created for the campaign was viewed by 6000 visitors, and nothing proves our success more, than the hungry people going to Kapca, asking whether they could get a set of Handy instead of the usual cutleries.